Look, up in the sky It's a bird. It's a plane. It's the . . . SUN When morning comes, a young boy must prepare for his day, faster than a speeding bullet. Follow along as he leaps tall buildings (jumps out of bed) in a single bound, dons his heroic uniform (his clothes), and faces his greatest weakness (Kryptonite-colored toothpaste). 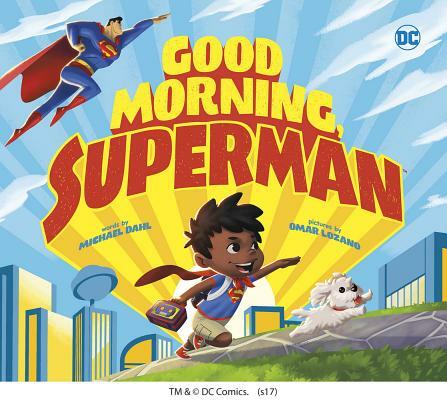 Then it's up, up, and away to daycare The perfect companion to the bestselling author Michael Dahl's BEDTIME FOR BATMAN, this official DC Comics picture book will have Superman fans young and old delighting in their morning routines. Includes a morning routine checklist.